Armon is so excited because he passed the testing to see if he’s ready for 1st grade. Today he counted out the money: 4 quarters, 10 dimes, 20 nickels, 100 pennies and told me what each was worth: $1.00. So he’s taking the money home with him! Yeah! He read in his reader and did well! Oh yes, I also read a story to him about a raccoon, a weasel and a hawk! He’s going to read the reader to his mom on Friday. Then he gets the remote car! Summer is winding down. It’s been a good profitable summer. 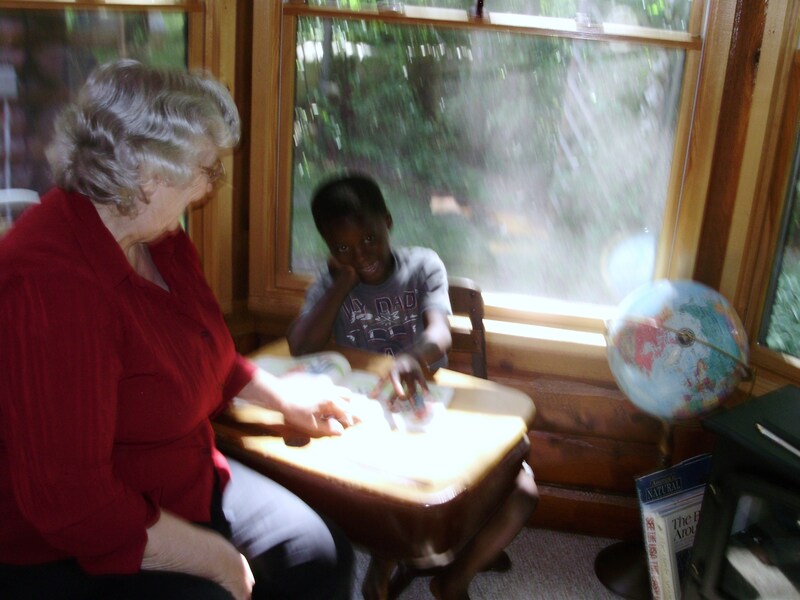 Grandma and Armon during Grandma's School. Wonderful job, Grandma ! You’ve been such a blessing to him. Thanks, Gail! It came as a challenge and I love a challenge. He worked hard and completed the task. I’m very proud of him.